Brenda Wineapple has 1 media appearance. Brenda Wineapple discusses Hawthorne: A Life. Brenda Wineapple "Ecstatic Nation: Confidence, Crisis, and Compromise, 1848-1877"
Dazzling in scope, Ecstatic Nation illuminates one of the most dramatic and momentous chapters in America's past, when the country dreamed big, craved new lands and new freedom, and was bitterly divided over its great moral wrong: slavery. With a canvas of extraordinary characters, such as P. T. Barnum, Walt Whitman, Frederick Douglass, and L. C. Q. Lamar, Ecstatic Nation brilliantly balances cultural and political history. Brenda Wineapple is the author of Genet: A Biography of Janet Flanner; Sister Brother: Gertrude and Leo Stein; and Hawthorne: A Life, winner of the Ambassador Award of the English-Speaking Union for Best Biography of 2003. 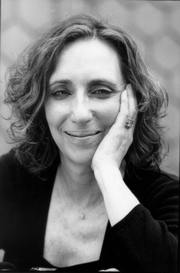 Her essays and reviews appear in many publications, among them The New York Times Book Review and The Nation. She has been the recipient of grants from the National Endowment for the Arts and the Guggenheim Foundation. She lives in New York City and teaches creative writing at Columbia University and The New School. Brenda Wineapple , White Heat: The Friendship of Emily Dickinson and Thomas Wentworth Higginson. Brenda Wineapple is currently considered a "single author." If one or more works are by a distinct, homonymous authors, go ahead and split the author. Brenda Wineapple is composed of 3 names. You can examine and separate out names.